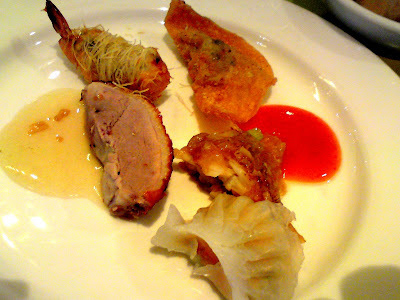 I have tasted the food at Lemon Garden before and I liked them...and wow, they offer pretty good stuff with oysters, abalones and all...:)Yum! Interesting, I got to give this a try! 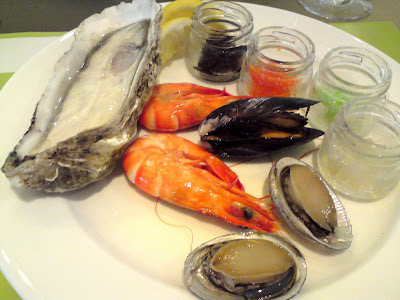 wow, for that RM45 and you get to eat caviar and all the oysters - that is like the best deal ever! So lucky. Reminds me of my Jogoya run... LOL. 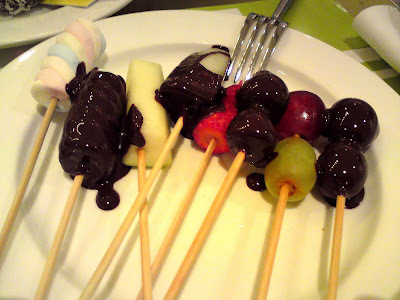 From your post I felt that Jogoya was better despite the lack of local food (like satay and stuff), but THE CHOCOLATE FONDUE IS SIMPLY IRRESISTIBLE! lucky you to get that 50% off. 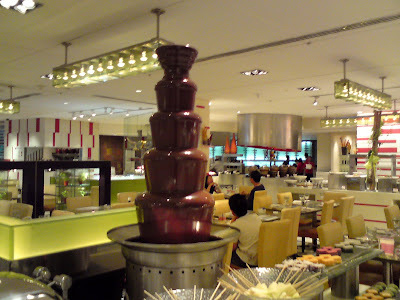 Looks tempting especially the chocolate fountain. izad, thanks for dropping by my blog! 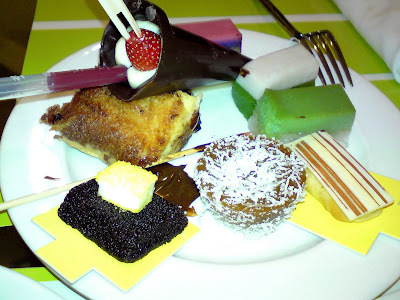 I will consider your recommendation of the Rakuzen buffet. How much does it cost? monica, oh you should. 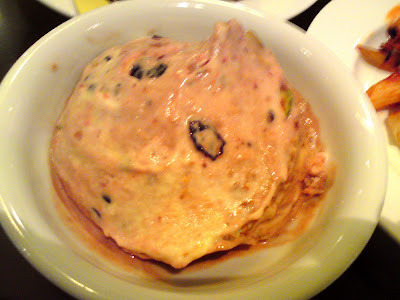 The oysters there are simply the best - even better than the ones I had in Sun & Surf @ Sunway Resort. bengbeng, this is only once in a while kind of thing. 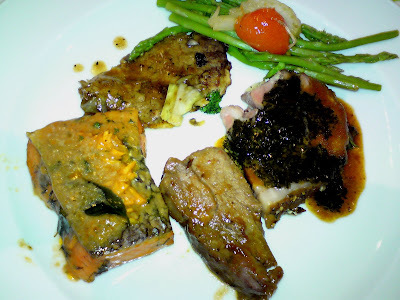 I don't go to buffet at expensive restaurants daily. It's good to enjoy and indulge once in a while. And I'm getting it at 50% discount so very worth it, no? I have a small appetite... I probably wouldn't eat much but RM45 is worth it! Drool! Drool!...I heard that the food there is nice but I've never been there as it's not affordable for the likes of me. Eee...when I go to KL, I wanna borrow your friend's card, can or not? Or better still, you take me there and give me a treat using your friend's card? LOL!!! 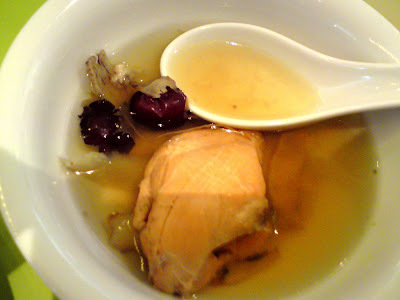 i have been to their buffet dinner few times d. not only that, it was in a big grp too, ard 15 of us. Wow! What a wonderful looking buffet. Of course some of the things I have not heard of. Very interesting! babette, I did some intense exercise on the day before the buffet lunch and the next day too! Luckily for me, I managed to burn off those excess food. Haha! 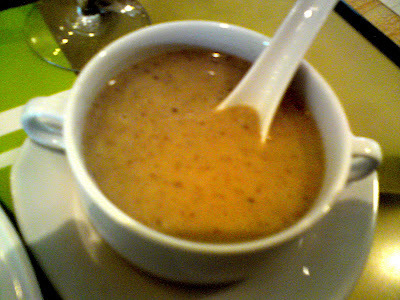 johnny ong, yeah, their food is very nice! 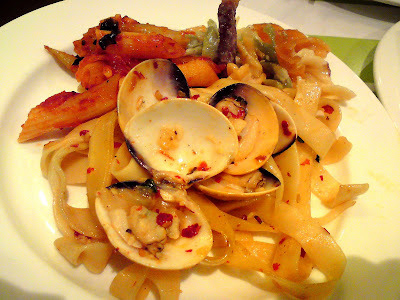 I agree that Shang has the best (or one of the best) buffets in town. At 50%, it's really a steal. I go there for their buffet dinners. I too love oysters. At one stage, I used to go there for their omelettes for supper. Crazy times. Renaissance has a great spread too and Nikko's has improved tremendously. I like to go to the Melting Pot at Concorde for the ambience. 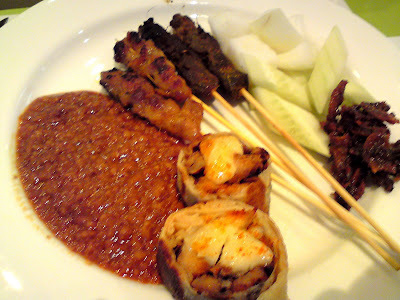 But I guess the ultimate buffet venue (but not for the food) has got to be the KL Tower. Cheers! Celebrate life by enjoying it. rm45 is really a good deal! de food look fab! can i borrow the card too?? puhhleeasseee? 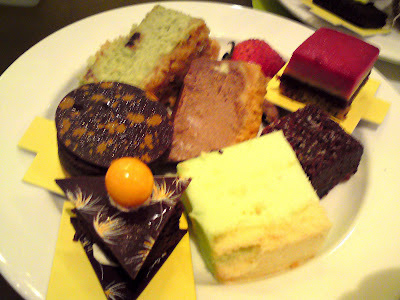 Despite being a borderline diabetic, I always try to get my money's worth at buffets, even with the desserts. He he. mariuca, yes the oysters must be fresh otherwise I won't eat it. Don't want to end up with food poisoning! The oysters at Lemon Gdn Cafe were really fresh! tekkaus, of course you can borrow the card provided I have the card with me. Then it's a case of multi level card borrowing system, which I'm sure the hotel won't agree if they found out! Haha! may i ask what card is that u used for 50%?? i need it!! haha..pls let me noe..thanks..